Five and a half years ago, we started something incredible. 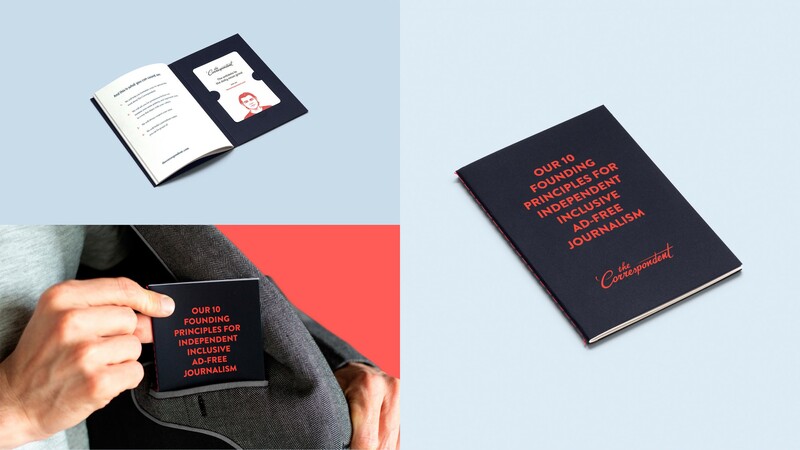 Momkai, the Amsterdam design agency I founded in 2002, teamed up with a group of idealistic Dutch journalists in 2013 to crowdfund a very different type of journalism platform: one that would be your antidote to the daily news grind. 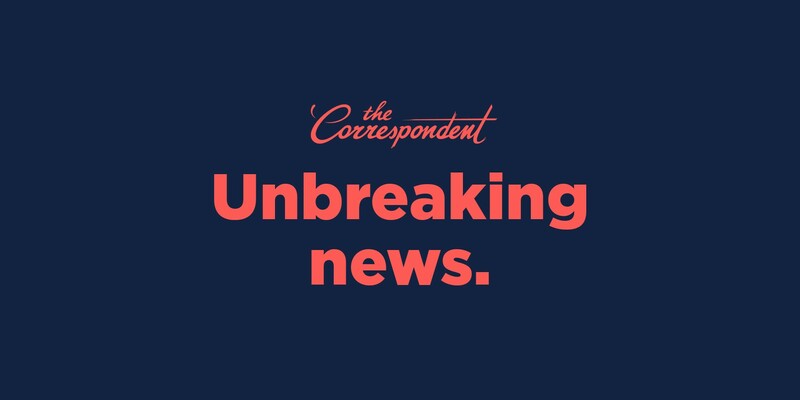 We raised $1.7 million in 30 days to get De Correspondent off the ground — a crowdfunding world record — and it has since become the fastest growing member-funded journalism platform in Europe. But we always knew we wanted to take our principles for radically different journalism beyond the Netherlands, to the huge range of English-speaking communities in countries around the world. This was the moonshot I long dreamed of, and in December last year, from a campaign HQ in New York City, we made that moonshot. 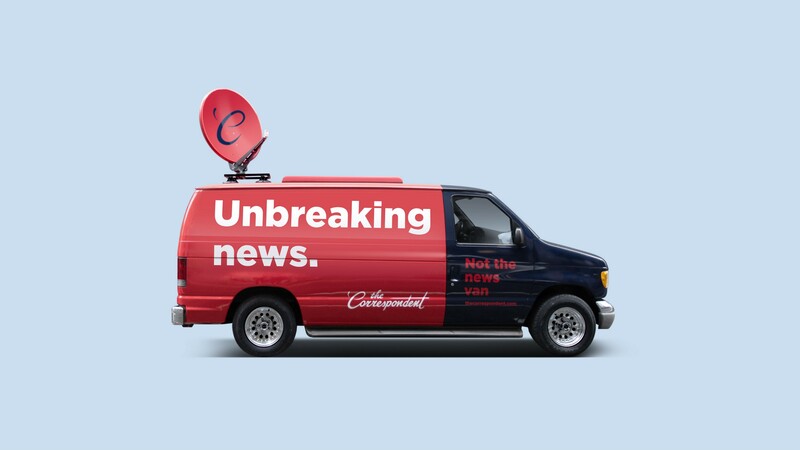 From November 14 to December 14, one team working across two continents ran a second record-breaking crowdfunding campaign, raising $2.6 million from 45,888 backers for our English-language “unbreaking news” platform: The Correspondent. Momkai is a design studio that helps companies and organizations to build platforms specifically aimed at knowledge sharing. We always begin by creating or understanding a client’s founding principles first and foremost, and then work together to share that purpose with the world. An important part of that work, of my work, is marketing. This can be challenging when designing and running a campaign in the journalism environment. As former Editor in Chief of The Guardian, Alan Rusbridger, wrote in his book Breaking News, journalists are “professionally mistrustful” and I understand why. Of course journalists are wary of marketing; it’s their job not to be sold on anything, and rightfully so. But here’s what ‘marketing’ means to us at Momkai when we think about designing a crowdfunding campaign for journalism: we see our job not as “selling” you something, but as movement building. Inspiring people to join our cause and to stand with us for what we believe is right. For The Correspondent, it meant asking others to stand with us to fight for a radically different kind of journalism. In 2013, De Correspondent and Momkai convinced 18,933 people to stand with us and from that, we learned some crucial lessons about crowdfunding in journalism. So when it came to designing our second campaign in 2018, the first thing we did was build on what we knew. The average news consumer is not motivated by saving journalists’ jobs. For that reason, both our 2013 and 2018 campaigns were led by “this is what we’ll do for you, our readers” or, even better, “this is what we’ll do together”. They weren’t moral lectures on saving the journalism industry. Instead, I wanted to create an empowering message of change that comes from a community of members. We made sure this overall messaging framework was clearly articulated through The Correspondent’s 10 founding principles — which we had translated from Dutch, tested with focus groups at New York University’s Studio 20, and evolved until it was clear what The Correspondent would mean for you. We had brand ambassadors in 2013. But for our international campaign, this had to be a turbo-charged effort! Starting with the incredible support of our first public advocate, our “ambassador No.1” NYU Professor Jay Rosen, we spent more than one year building up a contacts book of more than 100 people — from Wikipedia founder Jimmy Wales and star statistician Nate Silver to activist and organizer DeRay Mckesson and Grammy-award winning musician Rosanne Cash — who truly believed in The Correspondent’s mission, and were willing to share that mission with their digital and real-life networks. This group was crucial to helping us reach the thousands of individuals we’d need to back the campaign. 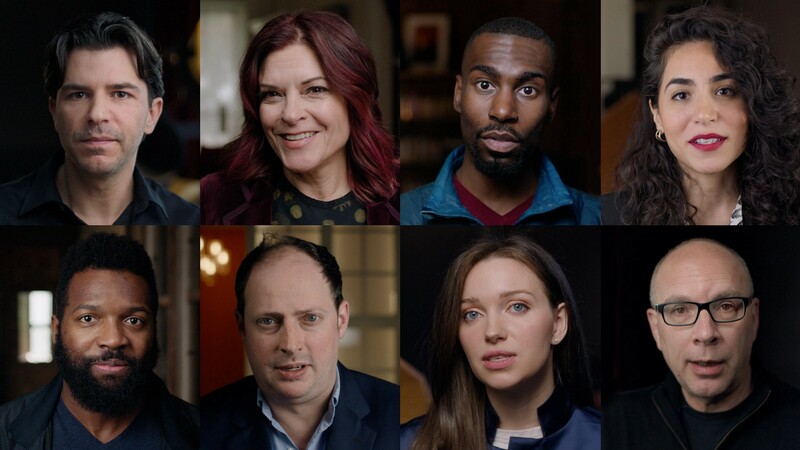 Finding the right ambassadors meant not only investing time in getting to know these people and convincing them to do us the huge honor of endorsing our mission — including those like Rosanne and Nate who appeared in our campaign video. It also meant ensuring each ambassador had everything they needed to share The Correspondent’s message throughout our crowdfunding effort. For months before the campaign launched a carefully planned communications strategy kept every ambassador in the loop about new developments; we designed individual “starter packs” ahead of the campaign launch, containing personalized quote cards, video clips, and other campaign visuals ambassadors could use across their digital channels; and we kept our ambassadors up-to-date on all major campaign milestones so they understood just how crucial their support had been. We were asking people to back our principles before the product had even materialized, and we knew how difficult that would be. So we started building a movement well in advance of November 14, 2018. In 2014, we began an English-language newsletter to share the philosophy behind De Correspondent with an English-speaking audience. 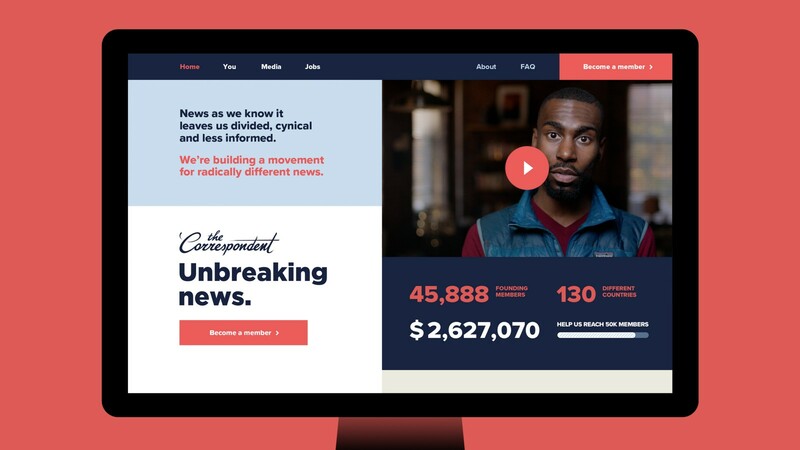 By the time The Correspondent’s campaign launched in 2018, that newsletter list had more than 20,000 subscribers — a ready-made community who were “warm” to the ideas behind our journalism, and would hopefully become early supporters. 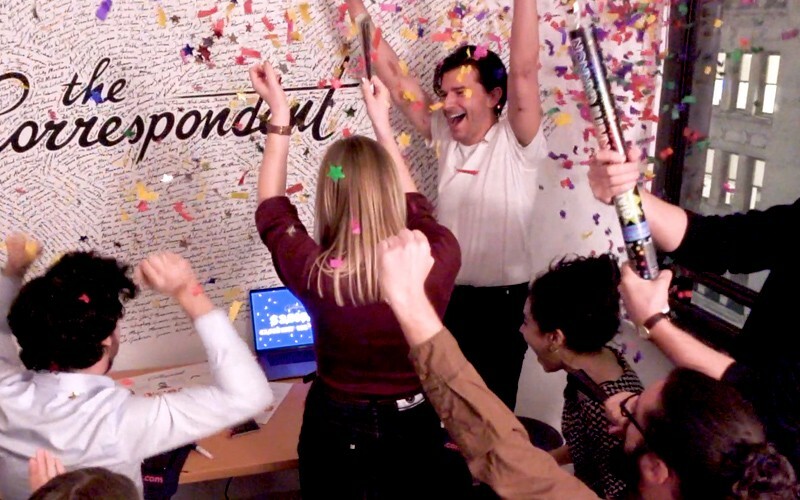 The team at De Correspondent ran a fantastic campaign targeting our Dutch members, via email newsletters, social media, and on the platform, asking them to “chip in” and take the journalism movement they proudly built to an international audience. Almost 20,000 of them did just that, giving us an amazing head-start in the early days of the campaign. 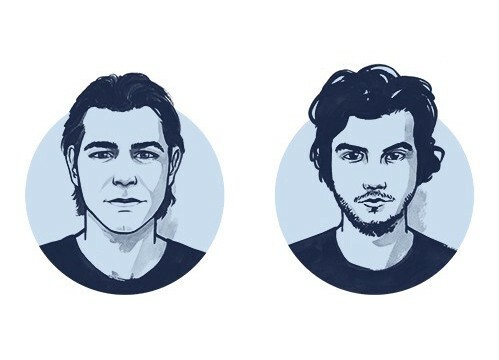 And in the two months before campaign kick-off, my fellow De Correspondent founders Rob Wijnberg and Ernst Pfauth wrote a series of essays on Medium explaining our news philosophy in detail, creating an invaluable resource where people could find out more about what they were signing up for, without any “product” yet in sight. When we hit our $2.5 million goal more than 24 hours ahead of deadline, we shifted to a stretch goal of 50,000 members. Those elements built our basic rocket ship for this moonshot. We thought it might just get us to the moon, but we had to be sure. How could we super-charge this space mission? Here are the extras we brought in to reinforce our efforts. The English translation of our 2013 campaign slogan was: “Your antidote to the daily news grind.” It was nice, but it wasn’t enough. We needed something punchy, but also something to show that we understand how you, the news consumer, feels about journalism that ultimately leaves you cynical, divided, and less informed, and how The Correspondent will be different. 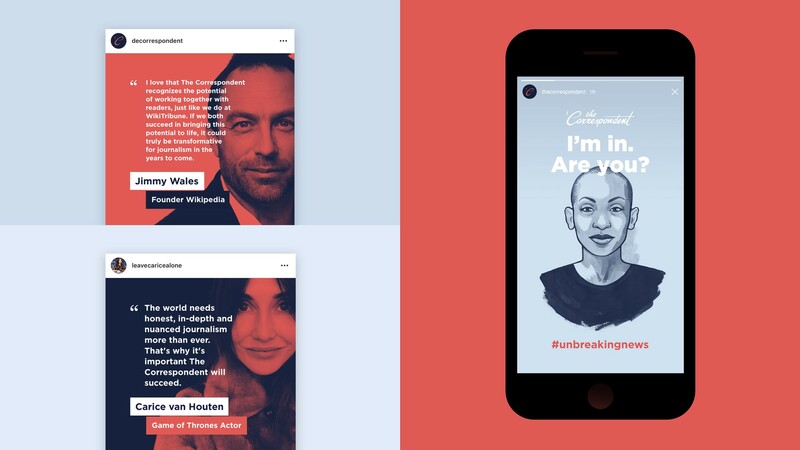 It was in a strategy session with our New York campaign partners, Blue State Digital — the campaign agency behind Barack Obama’s 2008 and 2012 presidential campaigns—that “Unbreaking News” was put forward by the most junior member of the team, Momkai strategy intern Joanna Bax. We instantly loved the slogan, and for me it brought to mind designer Raymond Loewy’s MAYA principle: Most Advanced Yet Acceptable. This principle of design holds that “to sell something surprising, make it familiar; and to sell something familiar, make it surprising”. 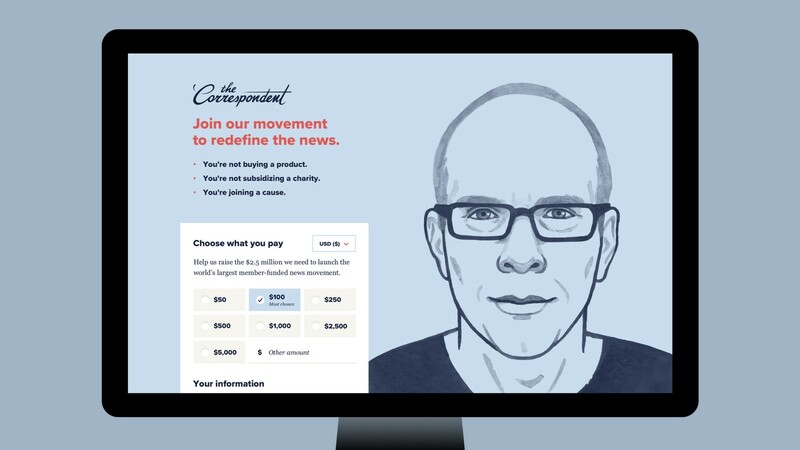 The Correspondent would be a journalism platform — something we’re all familiar with — but with surprising differences: it won’t chase the latest headlines, it won’t pretend to objectivity, and it won’t take any ads, to name a few. 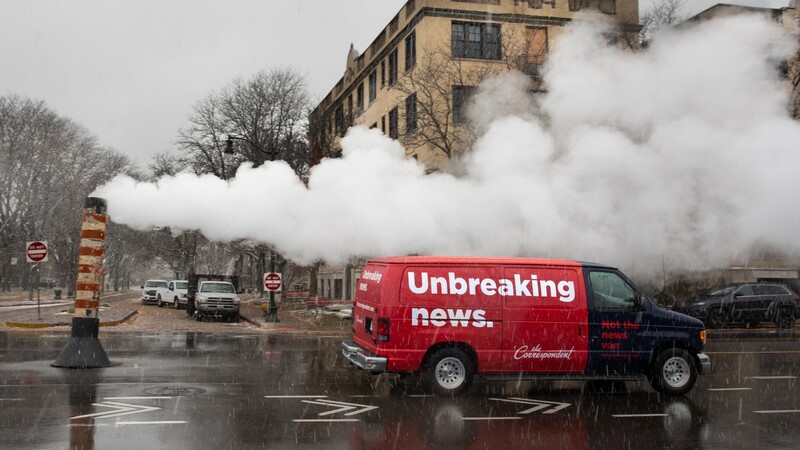 Subverting “breaking news” to “unbreaking news” provided exactly the elements of familiarity and surprise we were looking for. We also channeled the MAYA principle in the campaign’s visual style. Our color palette — blues and reds — were reminiscent of some well-known 24-hour news channels, as well as the flags of the United States and the United Kingdom, where our largest target audiences are based. But the pale and muted tones we chose — rather than bright hues screaming for your attention — signaled this would be a different kind of journalism product. Our handwritten logo (the handwriting of yours truly) and hand-drawn illustrations of ambassadors and the campaign team were all designed to give this campaign a friendly face, and the feeling of a movement crafted with care, attention, and humanity. We built our own crowdfunding platform in 2013 and decided to go our own way again in 2018. This allows us to tell and have control over our own story. The designers and developers at Momkai and De Correspondent focused on perfecting the small things that would be most important to a potential member — making it as frictionless as possible to understand our pitch and make a pledge. Then, once someone is on board, we made sure there were clear options for doing more, via social sharing or gifting a membership, for example. By this point, the rocket ship was looking really good. We believed we would be on our way to the moon — and Mars was pretty good looking too! But how to make sure we didn’t run out of rocket fuel? The teams at Momkai and Blue State Digital worked together to ensure that our designs really were of the highest quality. What was the optimum way to display the contribution amounts on the site? What sender would result in a higher open rate for emails to our unconverted audience? What was the best position for a button on the funnel page? We tested these questions and more, then optimized around the results to ensure we had the best possible campaign. None of the things I’ve talked about happened on the first try. Getting our dream ambassadors, scoring a game-changing appearance on The Daily Show with Trevor Noah, designing a site with a 15% conversion rate — all involved repeated failures, setbacks, trial and error. As media writer Thomas Baekdal pointed out, reaching our goal was far from certain. When the rocket ship seemed to be slowing, we had to find more fuel and energy to persist, to push harder, and push again. In our email campaign, we used the halfway mark as an opportunity to ask all existing supporters to bring in one member to help us hit our goal. In the final days, we acknowledged that we were bombarding our supporters with last-minute pleas, with subject lines like “ANOTHER email from The Correspondent” (and made sure to explain why we were bothering them again). And we always made sure to celebrate milestones and express gratitude, so that our message wasn’t constantly ask, ask, ask. But we also weren’t afraid to keep asking — especially with our unconverted audience. With 34 hours to spare, our little rocket ship made it. At around 6pm New York time on December 13, we reached our $2.5 million fundraising goal and would go on to reach $2.6 million by the time the campaign concluded the following day, thanks to 45,888 founding members. What did I learn while on this incredible mission with Momkai and De Correspondent? 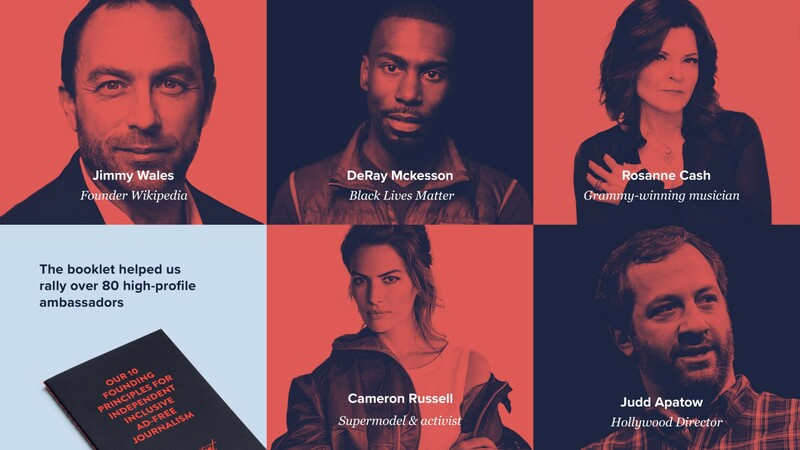 Build a movement — the most transformational aspect of the idea was not to launch another media company with a PR campaign but to build a journalism movement with a crowdfunding campaign. Don’t be afraid to ‘market’ — but remember you are trying to inspire people to action, not buy a product. Stand for the highest quality — and accept that this will make you vulnerable and be transparent when things go wrong. Prioritize thoughtful design and planning — we will continue to do this as we start building The Correspondent for its official launch on September 30, 2019. Share gratitude, always — my colleagues and partners worked across two continents and multiple timezones with one mission. Without their dedication, talent, and ideas this rocket ship wouldn’t have got off the ground. And thanks to the incredible support of our founding members in 130 countries, this truly is a grassroots movement for unbreaking news. I’m forever grateful to all. 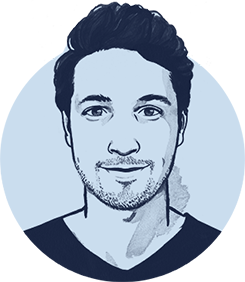 Harald Dunnink (1981) is the founder of Momkai, a design studio that helps dreamers and thinkers to build brands and platforms that serve a purpose. He’s the co-founder of The Correspondent, the English language platform for Unbreaking News. 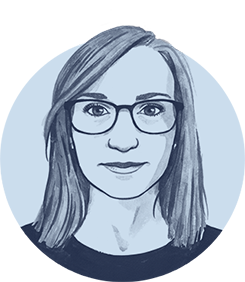 Jessica Best (1987) is the Partnership Manager at The Correspondent. She played a vital role in the record-breaking campaign. She helped Harald to put the principles underpinning the creative direction down in writing, offering insight and inspiration for other journalists and designers. Let’s build a movement for radically different news, together! 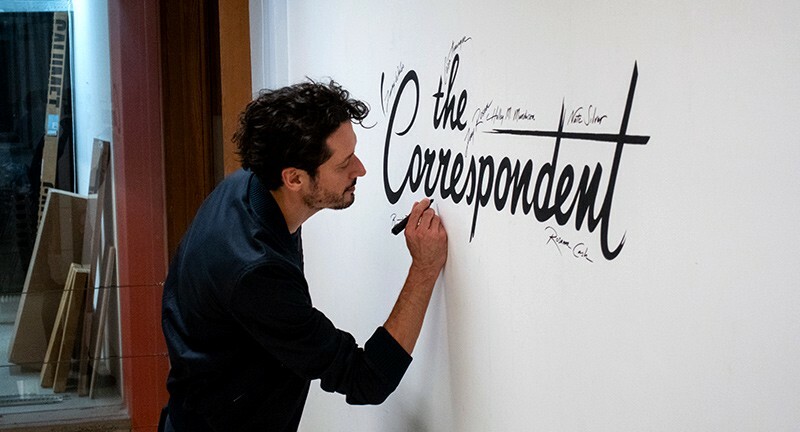 Become a member at thecorrespondent.com. Founder of design studio Momkai. Cofounder of journalism platform The Correspondent. Creative director at both.